It’s never too late to get into blogging, and starting up a blog is now easier than it’s ever been. 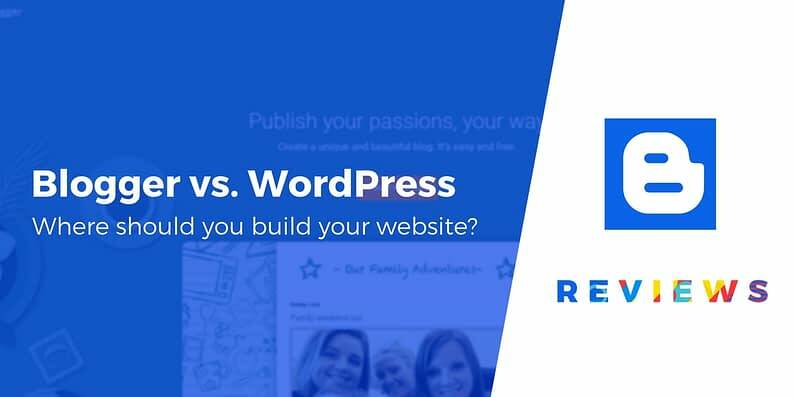 The most pertinent decision initially is to pick a platform to build it with – which often means choosing between Blogger vs WordPress. Blogger is a simple service that enables you to create a blog and publish it online immediately. WordPress, on the other hand, is a full-featured Content Management System (CMS) for building websites (in this article, we’re talking about self-hosted WordPress, which is different from WordPress.com). Each has its own unique pros and cons, which you’ll want to be aware of before settling on one over the other. In this post, we’ll introduce you to Blogger vs WordPress. We’ll explain how the two platforms work, discuss their relative benefits and drawbacks, and help you choose the right one for your needs. Let’s get started! First up, let’s talk about Blogger. 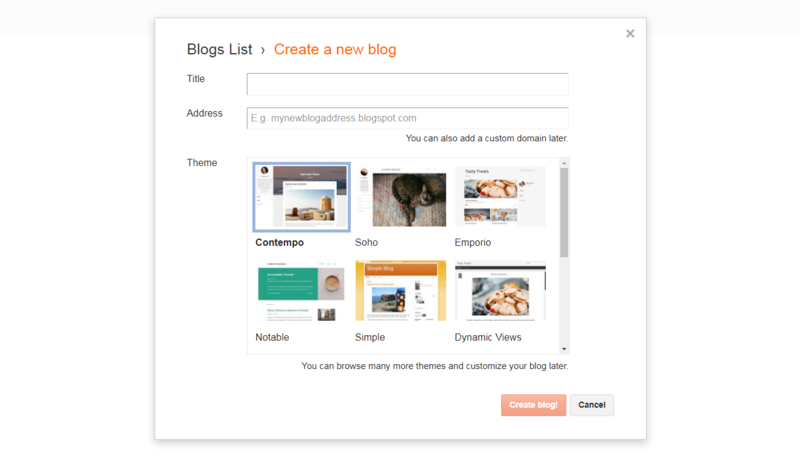 As the name suggests, Blogger makes it easy to get up and running with a simple blog. Here, you’ll be able to create posts, add pages to your blog, see and respond to comments, and perform other basic blog-related tasks. Whatever you add or change here will immediately be updated on your live site. While Blogger is just for blogs, WordPress is a full Content Management System (CMS) – a platform designed to help you build online content. In practical terms, this means that you can use WordPress to create nearly any type of website. WordPress began life as a blogging platform, however, and it’s still suited to that application. Like Blogger, WordPress is also free, although it won’t host your blog for you. You’ll need to choose a hosting plan and pick out a domain name, after which you can install and set up your WordPress site. There’s a lot more involved in using WordPress – far too much for us to cover here. Fortunately, we’ve written many guides to the platform, which you can check out for more details about how it works. Finally, it’s important to note that what we’re talking about here is WordPress.org, the downloadable open-source software. WordPress.com is a different thing, which you can read more about in our comparison of the two platforms. Now we’ve introduced the two platforms and explained what they do, let’s get a little more detailed about their relative advantages and drawbacks. We’ll start with Blogger, then move on to WordPress. Keep in mind that these aren’t comprehensive lists. Instead, we’re focusing on the most relevant pros and cons to a first-time blog creator. It’s very quick and simple to get started with – you can literally create a blog in minutes. You’ll be able to learn how to create content and use all the primary features right away. You don’t need a hosting plan, making this a 100% free solution. While limited, there are options for personalizing your blog. The platform’s functionality is very basic – you can’t do much with it beyond creating a standard blog and posting content. Your options for customizing your blog’s appearance and features are very restricted, as is the potential for adding custom code. You don’t fully “own” your content because it’s all sitting on Google’s servers (though you can export your content if needed). As you can see, Blogger really shines when it comes to getting you up and running quickly. However, it’s less impressive if you’d like to fully customize your blog. In contrast, let’s take a look at WordPress. While it requires a bit more work than Blogger does, getting a blog started with WordPress is still a pretty quick and painless process, and most quality WordPress hosts can handle the setup for you. 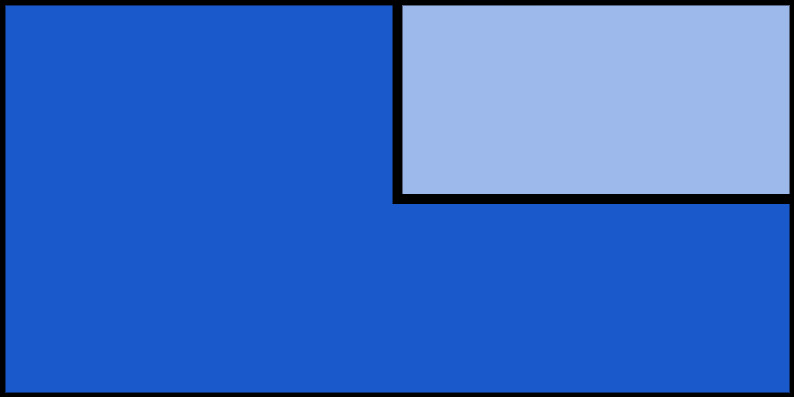 The platform is beginner-friendly and easy to learn, especially if you’re using it for something simple (i.e. a blog). There are thousands of customization options in the form of plugins and themes, enabling you to shape your site into whatever you want. For more advanced users, WordPress makes it simple to add custom code and complex features to your blog. Starting up a WordPress site typically requires a small monetary investment. You actually can find free WordPress hosting, but we wouldn’t recommend it for a serious site. You’ll be more responsible for ensuring that your site performs well and is secure. These summaries should give you a solid idea of where both platforms shine and where they fall short. Now, here’s how to decide which one you should use. Both Blogger and WordPress have their place, and are useful for certain types of users. However, what you’ll want to know is which one you should opt for. Blogger is useful for those who want to create their blog and have it fully up and running immediately. If all you want is a very simple hobby blogging platform, this may be the solution for you. You won’t have to pay a cent to get started, and you won’t need to worry about hosting or any other technical considerations. However, it is worth noting how restrictive Blogger is. Again, you have limited options for customizing your blog. Plus, you won’t be able to do much else with the platform. If you want your blog to be a part of a larger website – such as a business site, a portfolio, or a store – Blogger won’t provide the features you’ll need. 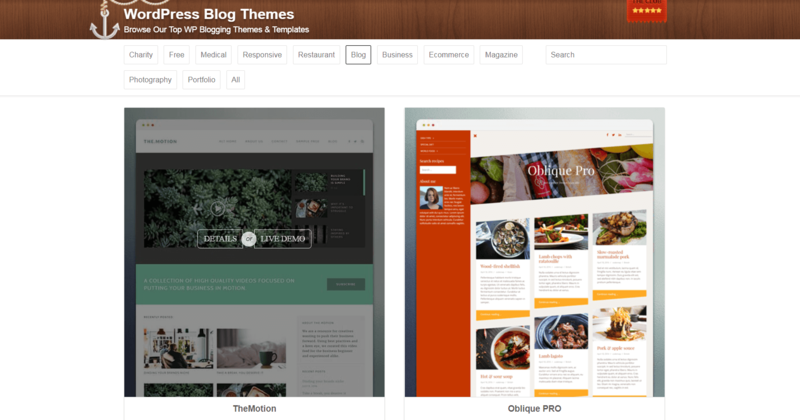 Therefore, when it comes to Blogger vs WordPress, we recommend the latter for most people who are creating a new blog. The start-up costs are very small, the setup is fast, and it’s designed to be beginner-friendly. You should have your blog up and running in less than an hour, and the learning curve when it comes to creating and publishing posts is quick. Ultimately, even if all you want to do right now is build a very basic blog, WordPress is almost always the better option. This way, if in the future you want to expand your website, add new features to it, or even change its focus entirely, you’ll have all the options you need right at your fingertips. Choosing a platform for your new blog isn’t a simple matter. There are so many options, it can be easy to get overwhelmed. Two of the most common names you’ll hear are Blogger and WordPress, and this may lead you to wonder which would better suit your needs. Blogger: This is a completely free, very simple blogging platform that will have you up and running in minutes. However, your options for customizing your blog or doing much beyond creating basic posts are very limited. WordPress: This platform requires a little more time (and the cost of a hosting plan and domain name) to get started with. On the other hand, it’s easy for beginners to use, offers a ton of customization options, provides many features for more advanced users, and will scale easily with your blog as it grows. Do you have any questions about how to pick between Blogger vs WordPress for your new blog? Let us know in the comments section below!